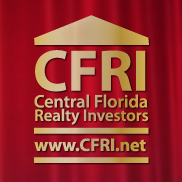 Orlando is Central Florida's premier residential destination. Its comfortable year round weather, vibrant industrial landscape, and first-rate educational opportunities make "The City Beautiful" one of the finest places to buy a home in the entire nation. Located along the I-4 Corridor, Orlando is conveniently nestled between the Cocoa Beach Surf Capital and the Tampa-St. Pete metropolitan area. In an hour's drive, you can dig your toes in the Atlantic sand or peruse the halls of Tampa’s Salvador Dalí museum. If you don’t want to leave the neighborhood, then bring the family to one of Orlando’s picturesque lakes. Or, catch a Broadway play at the Bob Car Performing Arts Center located in the heart of Downtown Orlando. 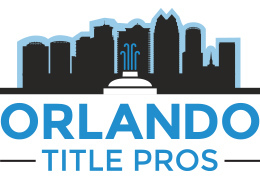 Whether you’re a surfboard carrying day-tripper or an aficionado of local cafés and music halls, you’ll be excited about what a home for sale in Orlando has to offer. Orlando is the service industry and tourism Mecca of the Southeast. These industries pump some $25 billion into the regional economy, attracting people and business from around the globe. Behind the city's entertainment and tourism curtain, the high-tech, aviation, aerospace, biotechnology, warehousing, distributions, and manufacturing industry sectors are enjoying a reverberating boom throughout the Orlando economy. Orlando is home to one of the nation's finest universities. Listed in "The Best 361 Colleges: 2006 Edition" by The Princeton review, The University of Central Florida's 50,000 member student body stimulates the Orlando economy and diversifies its already dynamic culture. Orlando's colorful character has contributed to a real estate market capable of accommodating your family’s fundamental necessities, your lavish desires, and just about everything in between.